Repulsors to full! 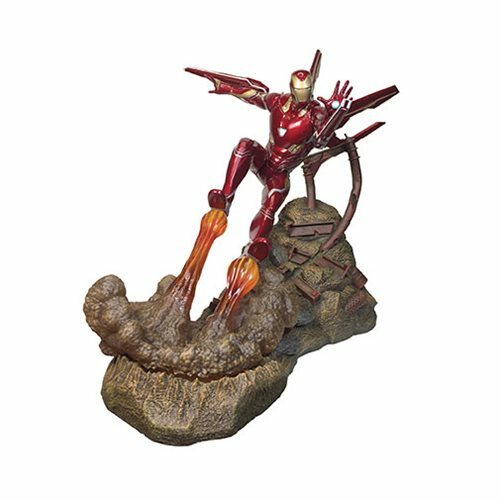 Thisresin statue of Iron Man in his MK50 armor shows himlanding on a pile of rubble even as he unleashes ablistering barrage at his target. This statue is limited to aproduction run of 3,000 pieces, and each statue ishand-numbered, with an accompanying certificate ofauthenticity in a full-color, hand-numbered box. Designedby Joe Allard and sculpted by Gentle Giant Studios!